mPassbook is a smart phone application that enables its users to get banking transactional updates in an easy, secure and immediate way. The design philosophy behind mPassbook was to make the task of getting transactional updates, as simple as receiving a text. If a Non Union bank customer downloads the app then app will prompt prospective customer to open an account with bank using “Union Selfie”. Now application will allows a prospective customer to open a SB account through an app on his mobile. Through this facility, a prospect can open a savings account just by scanning his Aadhaar card, PAN and by uploading a “Selfie” through his smart phone. You can view Account balance and transactions details of all your active accounts linked with your mobile number. -Get your account statement anywhere any time. -Facility to tag transactions and add personalized remarks for transactions. -Search and filter option to find particular transaction. Do I need to have a Union Bank account for availing mPassbook facility? Yes, you need to have an account with the Union Bank of India to use the app. Where can I download the Union Bank of India mPassbook Application? You can download the same from respective Play stores by searching for union mPassbook. Are there any charges for this facility? No, there are no charges for using this facility. I have downloaded the application, how can I activate it? -Step 1: Select the desired language and click on Proceed. -Step 2: Choose your County Code and Enter your Registered Mobile Number with the Bank. 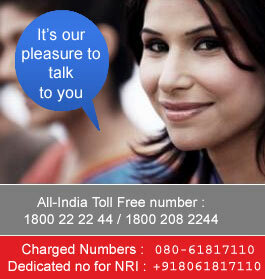 -Step 3: A six digit OTP (One time password) will be sent on your registered Mobile Number. -Step 4: Accept the “Terms and Conditions” and click on Proceed. -Step 5: Enter the six digits OTP and click on Continue. -Step6: Once OTP is validated, you have to set your four digits Numeric PIN to access the app every time you login to the application. Will it work in the dual SIM mobile handsets? Yes, it will. Please make sure that registered number SIM is in primary slot and primary SIM should be able to send a SMS & should have Internet facility enabled. I am getting error, invalid mobile number, what should I do? Please make sure that registered mobile number is present in the mobile phone from which you are using mPassbook application. I did not receive the OTP, what should I do? Please make sure that you enter the mobile number registered with Bank in the application and SIM is also present in the handset. In case of dual SIM handsets registered number should be in primary slot & enabled to send a SMS from the handset. I am not able to see my any accounts, what should I do? Please try Refreshing the application once and if the issue still persists, please contact Union Bank Customer Care to check the accounts linked with your mobile no. Please ensure that your same mobile number is updated in the accounts, if not then kindly reach out branch and get is updated. In case your mobile number is correct in your account, kindly contact branch and ask them to enable ePassbook flag for each account that is not getting reflected in the application. You can change your login pin from Settings > Change PIN option. For how many days the transaction details are downloaded? At the time of initial activation, transaction details of last 90 days for the account will be downloaded. Transactions will keep adding as the time passes and a total transaction data up to a period of 12months can be stored in the app. Transaction data for more than 12 months will be automatically deleted from the app. What if I have uninstalled the application from the mobile? If you uninstall the app, you will lose all the stored transaction data and personalized remarks added by you. However, you can start using the app by installing the same afresh. How to add custom comments/remark/tag to a particular transaction? Click on the transaction detail for which you want to add custom comment/remark/tag and you will get an option of add a comment, type your personalized comment and click on save. I am not able to see my latest transactions, what should I to do? Please refresh the application by swiping the screen from top to down. Ensure that Internet data connectivity is available. At the time of initial activation, it may take some time to fetch all accounts and transaction data. Please ensure that the app is in active condition during refresh. 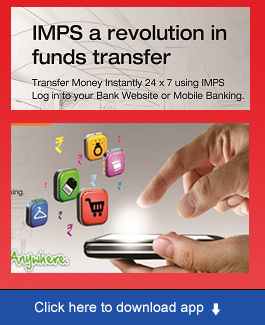 Can I do any financial transaction like Fund transfer, IMPS, NEFT etc? No, this app is only a Digital Passbook for your accounts. Kindly use Union Bank Umobile application for making payments & fund transfer. In the course of availing the products and services vide the online application forms and questionnaires, Union Bank and its Affiliates may become privy to the personal information of its customers, including information that is of a confidential nature. Union Bank is strongly committed to protecting the privacy of its customers and has taken all necessary and reasonable measures to protect the confidentiality of the customer information and its transmission through the world wide web and it shall not be held liable for disclosure of the confidential information of the customer when it has acted in accordance with this privacy Commitment or in accordance with terms of the agreements, if any, with the Customers. Union Bank endeavours to safeguard and ensure the security of the information provided by the Customer. Union Bank uses 256-bit encryption, for the transmission of the information, which is currently the permitted level of encryption in India. When the information provided by the Customers is not transmitted through this encryption, the Customers' system (if configured accordingly) will display an appropriate message ensuring the best level of secrecy for the Customer's information. The Customer would be required to cooperate with Union Bank in order to ensure the security of the information, and it is recommended that the Customers necessarily choose their password/PIN carefully such that no unauthorized access is made by a third party. The Customers should undertake not to disclose their password/PIN to anyone or keep any written or other record of the password such that a third party could access it. Act to protect the interests of Union Bank, its Affiliates, or its members, constituents or of other persons. The Customers shall not disclose to any other person, in any manner whatsoever, any information relating to Union Bank or its Affiliates of a confidential nature obtained in the course of availing the services through the application/website. Failure to comply with this obligation shall be deemed a serious breach of the terms herein and shall entitle Union Bank or its Affiliates to terminate the services, without prejudice to any damages, to which the customer may be entitled otherwise. Union Bank will limit the collection and use of customer information only on a need-to-know basis to deliver better service to the customers. Union Bank may use and share the information provided by the Customers with its Affiliates and third parties for providing services and any service-related activities such as collecting subscription fees for such services, and notifying or contacting the Customers regarding any problem with, or the expiration of, such services. In this regard, it may be necessary to disclose the customer information to one or more agents and contractors of Union Bank and their sub-contractors, but such agents, contractors, and sub-contractors will be required to agree to use the information obtained from Union Bank only for these purposes. The Customer authorizes Union Bank to exchange, share, part with all information related to the details and transaction history of the Customers to its Affiliates / banks / financial institutions / credit bureaus / agencies/participation in any telecommunication or electronic clearing network as may be required by law, customary practice, credit reporting, statistical analysis and credit scoring, verification or risk management and shall not hold Union Bank liable for use or disclosure of this information. The following words and expressions shall have the corresponding meanings wherever appropriate. Bank refers to Union Bank of India, a body corporate constituted under the Banking Companies (Acquisition and Transfer of Undertakings) Act, 1970, and having its Head office at Union Bank Bhavan, 239, Vidhan Bhavan Marg, Nariman Point, Mumbai - 400 021, Maharashtra, India including any branch / office thereof. Union Bank mPassbook is the “facility” to the customer for viewing the transaction information and other facilities using the mPassbook Application, as the Bank may decide upon from time to time and is downloaded in the mobile phone. mPassbook Application shall mean the Bank’s mPassbook software downloaded and installed in the Mobile Phone linked to the Mobile Phone Number of a Customer. Customer is a person who holds an account in Union Bank of India. Account refers to the customer Savings and / or Current Account, or any other type of account as available in the Bank which may covered under the mPassbook facility in future. PIN shall mean the confidential Personal Identification Number (password) for accessing transactions using mPassbook facility. Mobile Phone number shall mean the mobile number that has been provided by the customer and registered with the Bank in relation to the Account. Transaction Service or Service shall mean non-financial enquiry services availed by the Customer using the facility as provided in this Agreement. By using Union Bank mPassbook, the Customer hereby agrees to these Terms and Conditions, which shall form a binding contract between the Customer and Bank. mPassbook of the Bank shall all times be governed by such terms and conditions as may be stipulated and amended by the Bank from time to time. These terms and conditions shall be in addition to and not in derogation of other terms and conditions relating to any account of the Customer and/or the respective product or the service provided by the Bank unless otherwise specifically stated. 3.1 The Facility will be available to customers having a satisfactory running Savings/ Current account with the Bank. 3.2 The Facility is made available to the Customer at his request, and at the sole discretion of the Bank and may be discontinued by the Bank at any time, without notice and the Bank shall not incur any liability to any person for such discontinuation. 3.3 The customer is solely responsible to select the period of transactional data storage provided in the settings of Union Bank mPassbook application. 3.4 Bank reserves the right to reject a Customer’s online request for mPassbook without assigning any reasons. 3.5 Customer can request for termination of the facility by uninstalling the application from his mobile phone. The Customer shall remain accountable for all the transactional information stored in the mPassbook Application in his mobile phone. 3.6 It shall be the Bank’s endeavor to give a reasonable notice for withdrawal or termination of the facility, but the Bank may at its discretion withdraw temporarily or terminate the facility, either wholly or partially, anytime without giving prior notice to the Customer. 3.7 The facility may be suspended for any maintenance or repair work for any breakdown in the Hardware/ Software for Union Bank mPassbook or any emergency or security reasons without prior notice and bank shall not be responsible if such an action has to be taken for reasons of security or emergency. 3.8 The services offered under the facility will be automatically terminated if the accounts linked for the mPassbook Services are closed. 3.9 The Bank may also terminate or suspend the services under the facility without prior notice if the Customer has violated the terms and conditions laid down by the Bank or on the death of the Customer when brought to the notice of the Bank or when prohibited by law or an order by a court or Authority. 3.10 Any change in the business rules, terms and conditions of any of the processes will only be notified by the Bank on its website www.unionbankofindia.co.in, and no personal communication in regard to such modification shall be given to the Customers. Such notification on the website shall be construed as sufficient notice to the customer. 4.1 Agrees to use the Union Bank mPassbook for non-financial enquiry services offered by the Bank from time to time. 4.2 Authorizes the Bank to map the account number, mobile phone number for the smooth operation of Union Bank mPassbook offered by the Bank and to preserve the mapping record in its own server or server of any third party and to use such data at its discretion for providing/enhancing further banking/ technology products that it may offer. 4.3 Agrees that he / she is aware and accepts that facility offered by the Bank will enable him / her to operate using PIN within the limit prescribed by the Bank and the enquiry service being bonafide will not be disputed. 4.4 Agrees to use the facility on a mobile phone properly and validly registered in his / her name only with the Mobile Service Provider and undertakes to use the facility only through Mobile Phone Number. The customer shall not allow any one to access the facility usingh there mobile phone device or by sharing their confidential PIN number and shall be solely responsible for any authorized/ unauthorized usage of the facility or any harm which may be caused tio such customer because of such sharing at any time. 4.5 Agrees that the Bank is authenticating the Customer at the time of installation by OTP /auto generated SMS or both and at the time of subsequent usage by PIN and that such authentication would be sufficient for protection of the customer transactions. The customer is solely responsible for maintenance of the secrecy and confidentiality of the PIN without any liability to the Bank. The Bank at its discretion may adopt other authentication of electronic records and the same will be acceptable and binding on the customer. 4.6 Acknowledges that the Remarks entered by the customer in mPassbook will not be stored at the Bank server/s and are stored in mobile application residing in the mobile phone only. Deleting App/Resetting/Formatting etc of the mobile will result in loss of data in the mPassbook app including such remarks. 4.7 Only registered mobile number is required for registration of mPassbook and that no other information is sought by the bank. 5.1 Customer shall be required to acquaint himself/herself with the process and terms & conditions stated in this Contract for using the facility and that he/she shall be responsible for any error made while using the facility. 5.2 Bank reserves the right to decide what services may be offered. Additions/ deletions to the services offered under the facility are at its sole discretion. 5.3 Customer hereby authorizes the Bank or its agents to send promotional messages including the products of the Bank, greetings or any other messages the Bank may consider from time to time. 5.4 Customer understands that the Bank may send rejection or cannot process the request messages for the service request(s) sent by the Customer which could not be executed for any reason. 5.5 Bank shall make all reasonable efforts to ensure that the customer information is kept confidential but shall not be responsible for any inadvertent divulgence or leakage of Customer information for reasons beyond its control or by action of any third party. 5.6 Customer expressly authorizes the Bank to carry out all requests purporting to have been authenticated with his/ her PIN. 5.7 It is the responsibility of the Customer to advise the Bank of any change in his mobile number or loss/ theft of mobile phone by adopting the procedure laid down by the Bank for the purpose. 5.8 Mobile Service Provider of the customer may levy charges for each SMS / GPRS and the Bank is not liable for any dispute that may arise between Mobile Service Provider and the Customer. At present, Bank does not charge any fee for offering this mPassbook Facility. Bank reserves the right to charge the Customer fee for the use of the services provided under the facility and change the fee structure at its discretion. Display of such charges on Bank’s website would serve as sufficient notice and the same is binding on the customer. It is the responsibility of the Customer to provide correct information to the Bank through the use of the facility or any other method. In case of any discrepancy in information, the Customer understands that the Bank will not be in any way responsible for action taken based on the information. Bank will endeavor to correct the error promptly wherever possible on a best effort basis, if the customer reports such error in information. Customer understands that the Bank will try, to the best of its ability and effort, to provide accurate information and shall not hold the Bank responsible for any errors or omissions that may occur due to reasons beyond the control of the Bank. Customer accepts that the Bank shall not be responsible for any errors which may occur in spite of the steps taken by the Bank to ensure the accuracy of the information and shall not have any claim against the Bank in the event of any loss/ damage suffered as a consequence of an inaccurate information provided by the Bank. 8.1 The Customer shall take all steps possible to ensure that his/her mobile phone is not shared with anyone. 8.2 The Customer will use the services offered under facility using the PIN in accordance with the procedure as laid down by the Bank from time to time. 8.3 The Customer shall keep the PIN confidential and will not disclose these to any other person or will not record them in a way that would compromise the security of the services. 8.4 It will be the responsibility of the Customer to notify the Bank immediately if he/ she suspect the misuse of the PIN. He will also immediately initiate the necessary steps to change his PIN. 8.6 The Customer shall keep himself/herself updated with regard to any information/ modification relating to the services offered under the facility which would be publicized on the websites and at the branches and would be responsible for the same. 8.7 The Customer shall be liable for all loss on breach of the Terms and Conditions contained herein or contributed or caused the loss by negligent actions or a failure to advise the Bank immediately about any unauthorized access in the Account. 8.8 The Customer shall be liable and responsible for all legal compliance and adherence of all commercial terms and conditions in respect of the mobile connection/SIM card/mobile phone through which the facility is availed and the Bank does not accept/ acknowledge any responsibility in this regard. 8.9 The Customer is advised to be prudent in downloading content through blue-tooth and ensure that proper anti-virus software is used from time to time to remove malware residing in the hand-set. 9.1 The Bank is unable to receive or execute any of the requests from the Customer or there is loss of information during processing or transmission or any unauthorized access by any other person or breach of confidentiality due to reasons beyond the control of the Bank. 9.2 There is any kind of loss, direct or indirect, incurred by the Customer or any other person due to any failure or lapse in the facility which are beyond the control of the Bank. 9.3 There is any failure or delay in transmitting of information or there is any error or inaccuracy of information or any other consequence arising from any cause beyond the control of the Bank which may include technology failure, mechanical breakdown, power disruption, etc. 9.4 There is any lapse or failure on the part of the Mobile Service Provider or any third party affecting the said facility and that the Bank makes no warranty as to the quality of the service provided by any such service provider. The Bank, its employees, agent or contractors, shall not be liable for and in respect of any loss or damage whether direct, indirect or consequential, including but not limited to loss of revenue, profit, business, contracts, anticipated savings or goodwill, loss of use or value of any equipment including software, whether foreseeable or not, suffered by the Customer or any person howsoever arising from or relating to any delay, interruption, suspension, resolution or error of the Bank in receiving and processing the request and in formulating and returning responses or any failure, delay, interruption, suspension, restriction, or error in transmission of any information or message to and from the telecommunication equipment of the Customer and the network of any service provider and the Bank's system or any breakdown, interruption, suspension or failure of the telecommunication equipment of the Customer, the Bank's system or the network of any service provider and/or any third party who provides such services as is necessary to provide the facility. 9.5 The Bank will not be responsible if Bank’s mPassbook application is not compatible with/ does not work on the mobile handset of the Customer.